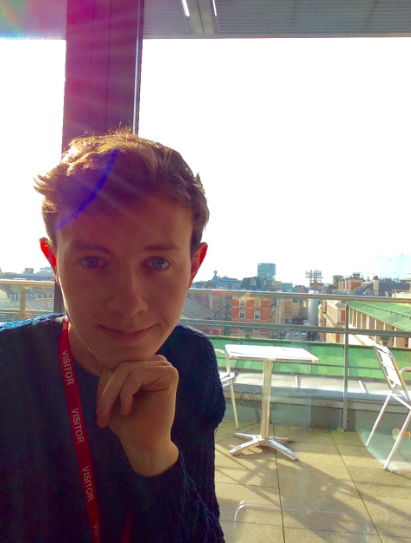 Here is a blog post that Steven Doran submitted after his one week work experience with the Notation Department of the Royal Ballet in February 2015. Steven is the second work experience candidate who has benefited from this program. ‘My involvement with the Notation Department of The Royal Ballet is an offshoot of my Music degree, as part of which I dipped into the world of Benesh Movement Notation (BMN) for an analytical project on Balanchine’s Apollo. Diana Curry at the Benesh Institute pointed me in the right direction and notation became an esoteric hobby well-suited to my enthusiasm for signs, music and (of course) dance. I never expected it would extend past the walls of my bedroom, so this opportunity cropped up as a wonderful turn of fate. Anna Trevien was my guide to notation and the inner workings of the Royal Opera House, and she decided as a project I could notate some of Hermione’s “Trial Scene” variation from The Winter’s Tale, a new ballet by Christopher Wheeldon created in 2014 and seen on Christmas day TV. I attended during the week many studio rehearsals and stage calls and also had the privilege to witness the first stages of the creative process of not one but two new works: Hofesh Schechter’s new ballet that is being notated by Gregory Mislin premiering on the 27th of March 2015 and Wayne MacGregor upcoming full length evening Woolf Works, notated by Amanda Eyles which will premiere on 11th of May 2015. I was particularly impressed with the phenomenal pace at which the creative process took place and the involvement these notators had with their respective choreographers during that process. In the age of video, it is not obvious what use notation could be, but practical application of Benesh is central to what notators with The Royal Ballet do, whether recording new works, teaching the classics or resuscitating those that are nearly forgotten. In each case authenticity is given much importance, as expounded in a recent Youtube video about Sir Frederic Ashton featuring Ballet Master Christopher Carr, who is a fervent advocate of Benesh Movement Notation (BMN). I’d suggest the emphasis on authentic reproduction serves as ideological aid to the canon of repertory on which the Royal Opera House relies to construct its authoritative image. 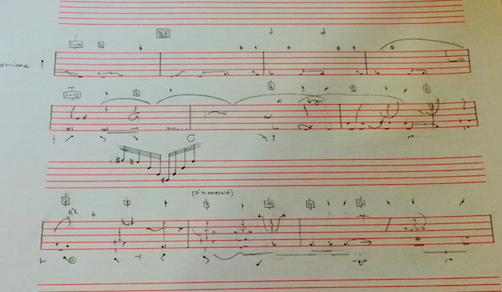 If you which to read more about work experience candidates, please check out Lorraine Gregory post and Notation examples of her project she wrote during her time here. ← Jane Bourne, FI Chor.